Protection when hauling serious cargo. As your operation grows, larger equipment can increase efficiency. When adding a semi truck rig to your list of equipment, make sure you have the right coverage to keep your rig rolling forward. Liability coverage helps protect you financially in the event of a liability claim or lawsuit due to bodily injury or property damage caused by your covered truck-tractor, tractor or trailer while operated by you or other covered drivers. 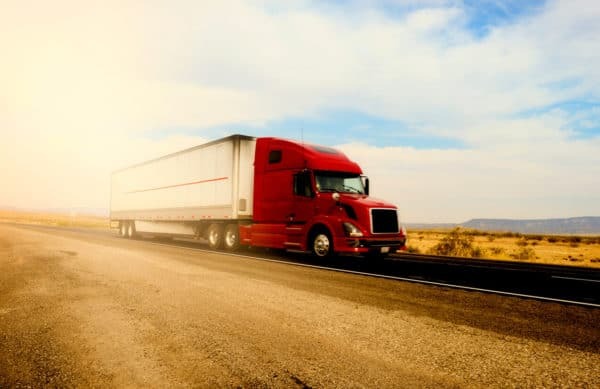 Medical Payments Coverage pays for certain expenses related to injury or death that you or others sustain when entering, exiting or otherwise occupying your truck, regardless of fault. Comprehensive Coverage will pay for damage to your truck by other incidents not related to a collision. Incidents that are covered include but are not limited to: hail, theft, fire and vandalism. Collision auto insurance covers damages to your vehicle caused by a collision with another car or object. We offer a range of premium discounts to farm tractor and trailer policyholders who qualify under the programs listed below. Those who complete a (minimum six hour) accident prevention course approved by the Oklahoma Department of Public Safety may be eligible for this discount. Approved courses are often offered through your county Farm Bureau. We offer many ways to conveniently pay your farm use tractor-trailer premiums. Choose from a full payment, quarterly payments or a monthly automatic draft from your bank account. Check with an OKFB agent to see which option may be best for you.